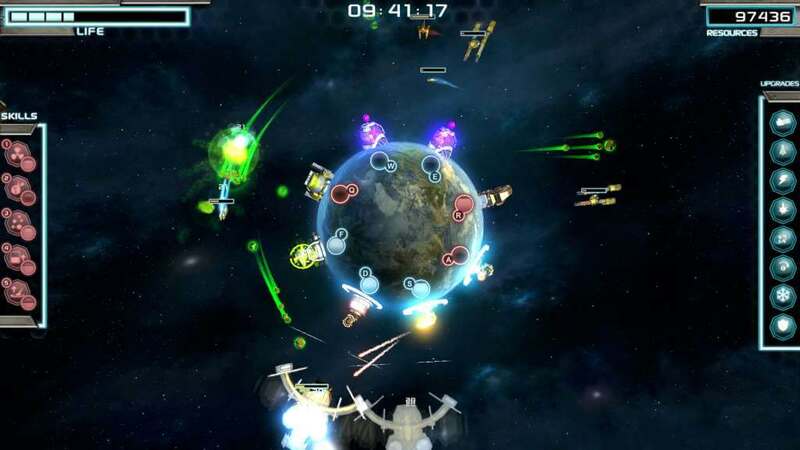 It's an Action Tower Defense game based on frenetic shooting mixed with strategy and upgrades. 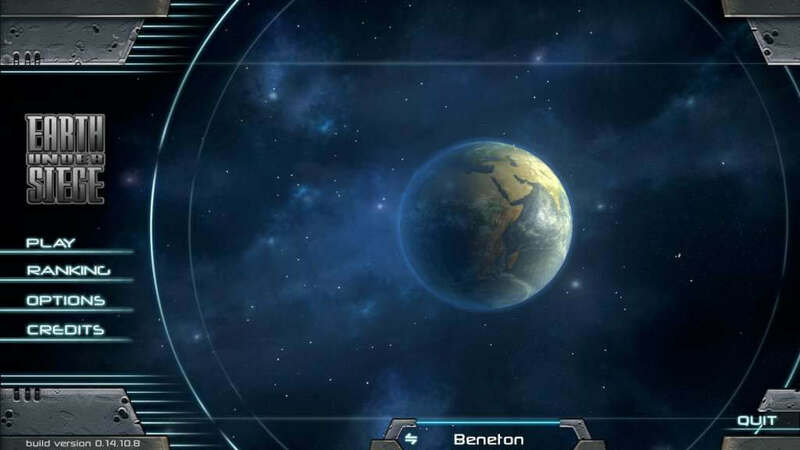 The Earth is being attacked by an Alien Empire. All nations started working together to create the best defense system humankind could possibly assemble. Great offense turrets were created to attack any incoming threat! You are the chosen commander to take control of them and bring hell to outer space! 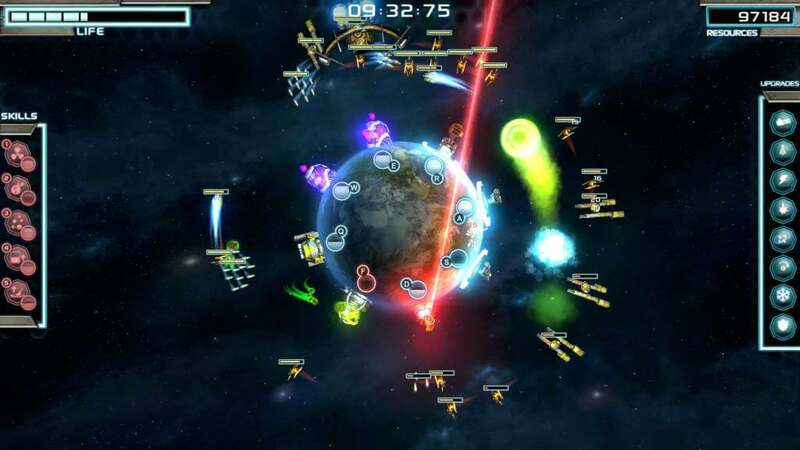 In Earth Under Siege, you are in control of the turrets you build to defend the planet from an alien attack. 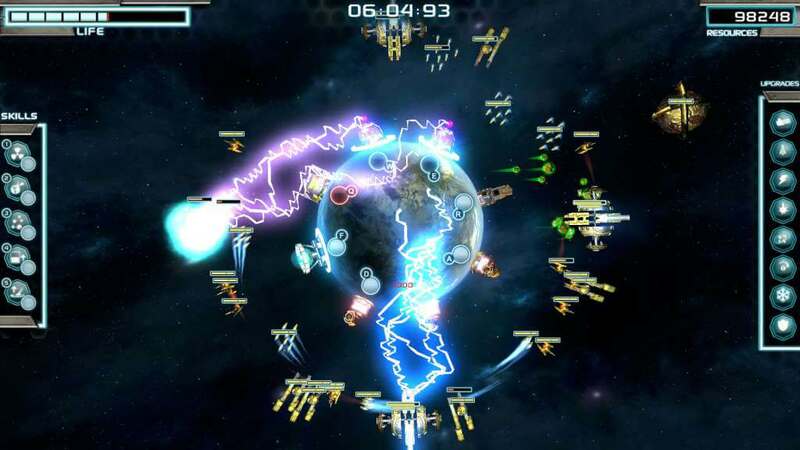 Take hold of 24 different types of turrets to defeat a horde of enemies and some incredibly powerful bosses. Take the lead and claim badges among the best players of the Online League! Survive longer and earn Tech points to unlock more Turret Evolution options! 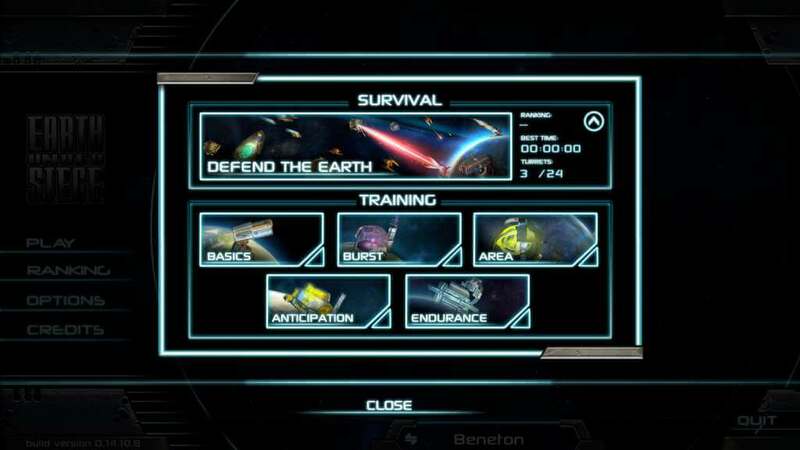 Every time you finish a survival game, the amount of time you were able to defend our planet will be converted into Tech points, then you can decide where to spend it. 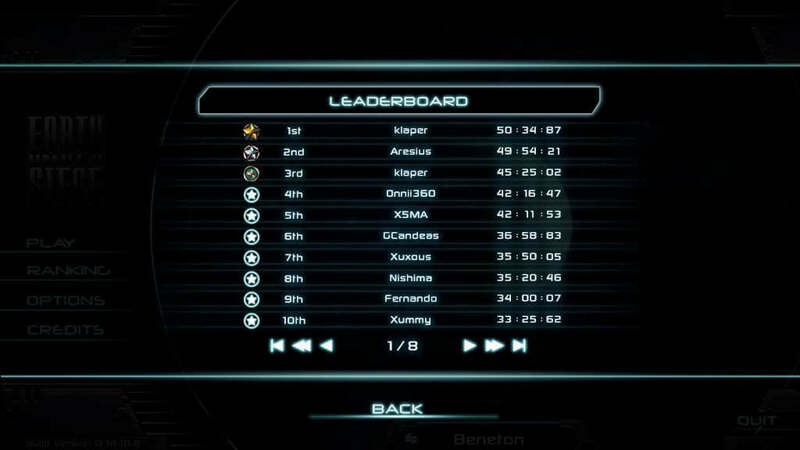 How long can you hold the alien assault? Build 8 different turrets that have multiple upgrades. Turret evolutions that awesomely change their fire power. Action tower defense mechanics mixed with strategy. Awesome dubstep music and high definition sfx that greatly improve the gameplay experience. Unbelievable Earth-sized bosses. You'll just have to handle the challenge. 5 unique skills for you to use to your advantage.